Along with the final go-ahead for the massive LNG Canada project, Trans Canada has announced that it will proceed with the pipeline to feed it. Shell and its partners announced the positive final investment decision for the $40 billion natural gas export project early on Tuesday, quickly followed by the news about the $6.2-billion pipeline. Coastal GasLink will transport volumes from the Montney region near Dawson Creek, B.C. to the LNG Canada facility in Kitimat. The pipeline will have an initial capacity of approximately 2.1 bcf/d, with the potential for expansion of up to approximately 5 bcf/day. Construction activities are expected to begin in early 2019 with a planned in-service date in 2023, TransCanada said. The project is underpinned by 25-year transportation service agreements with the LNG Canada partners. The pipeline is expected to employ 2,000-2,500 people during construction and generate approximately $20 million a year in ongoing property tax benefits to B.C. communities, creating economic stimulus and additional funds to address community needs both locally and provincially. 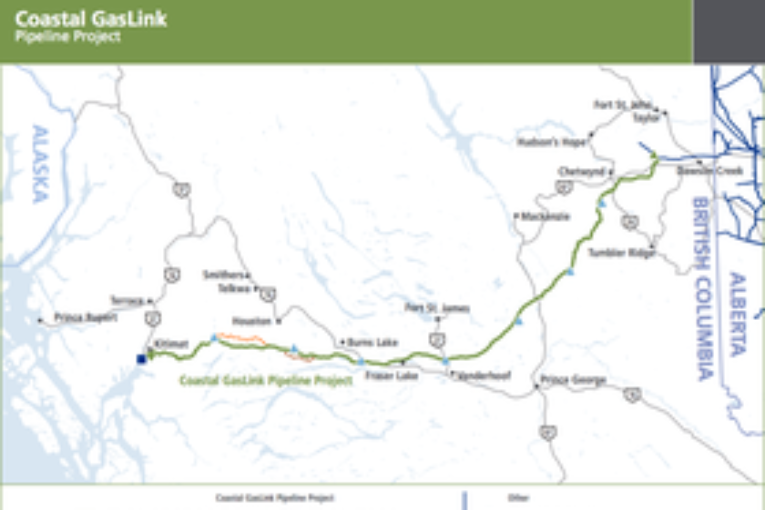 “Once constructed, Coastal GasLink will become a critical component of British Columbia’s natural gas pipeline infrastructure, connecting our abundant, low-cost natural gas resources to global markets,” TransCanada CEO Russ Girling said in a statement.